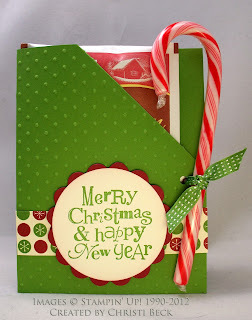 Here are some more pics from the Christmas swap we had at our last demonstrator meeting. Remember that on Monday, Oct. 29th, you can get most of Stampin' Up! 's stamp sets for 15% off. 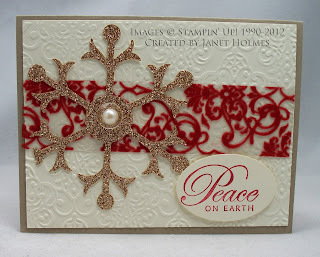 You'll have time to get what you want to make your Christmas cards. 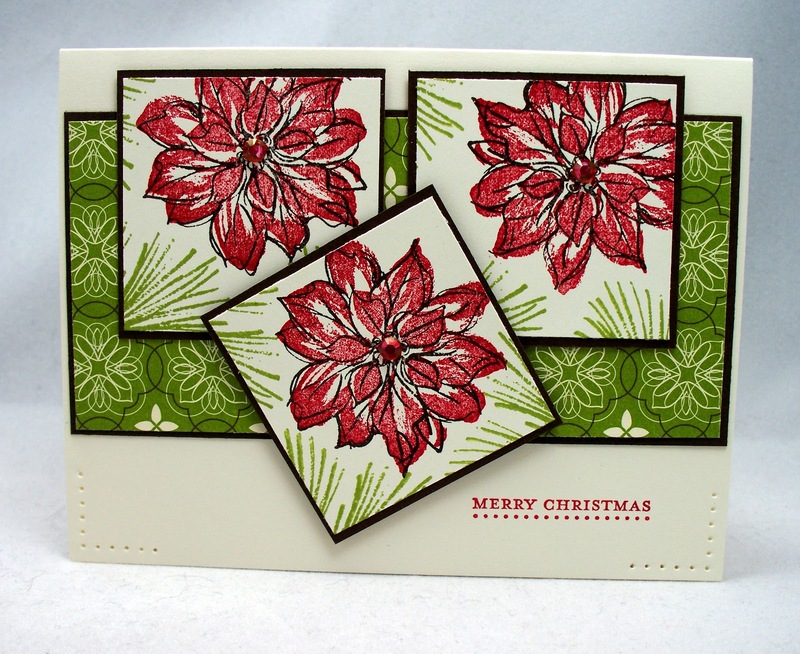 Marilyn Young made this beautiful card using the Watercolor Winter stamp set (129727 $18.95) from the Holiday mini catalog. Look carefully and you'll see the rhinestones she put in the center of each poinsettia. 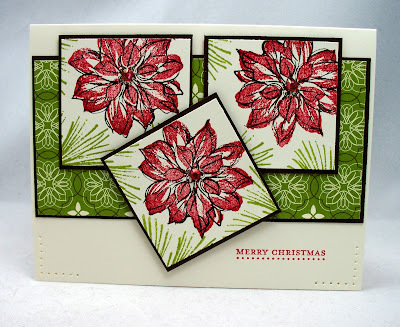 Yes, they're Stampin' Up! 's Basic Jewels (119246 $4.95). How did she get red ones? With a red Sharpie marker! While the rhinestones come in clear, you can make them any color you want with Sharpie or other solvent-based markers. Christi Beck made this cute hot chocolate holder with a candy cane stir stick. It only takes 1/2 a sheet of card stock. She used the Wacky Wishes hostess stamp set which is free with a minimum $150 order or workshop. 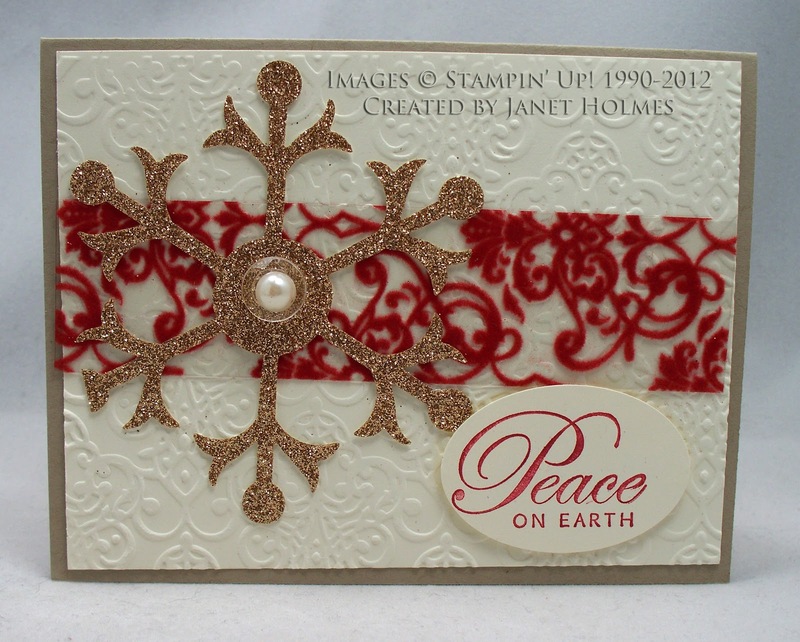 Janet Holmes made this gorgeous card using several items out of the Holiday mini catalog. I hope you have been inspired with these projects and the ones I posted earlier. 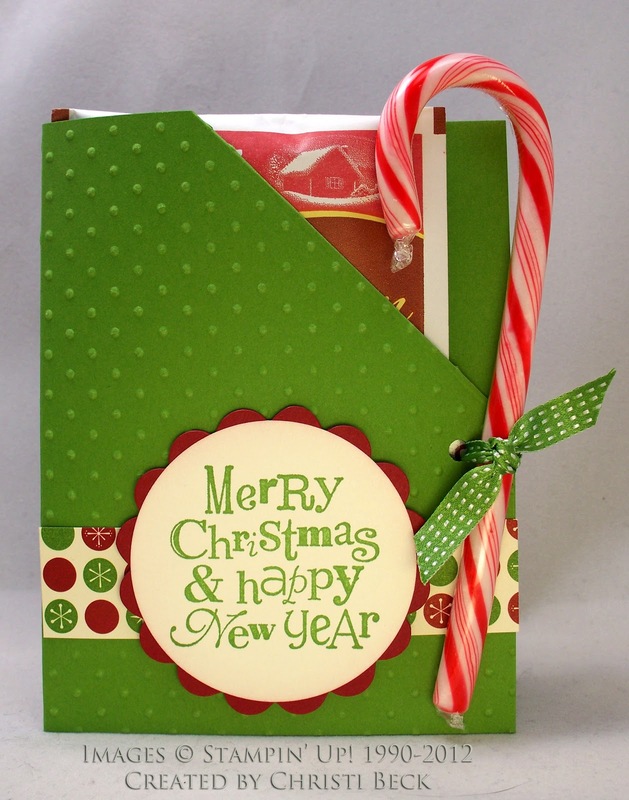 Have fun making your Christmas projects. Remember to stop by my online store on Monday, October 29th to take advantage of Stampin' Up! 's 15% off sale!